Claudia and Martin Grey are enjoying a belated honeymoon in England when they get a call from Julia Grant, his old college sweetheart. A successful singer/composer, she lives in a three-hundred-year-old mansion over the county line—and she claims a ghost is molesting her! In spite of Claudia’s misgivings, they investigate the haunting and discover the cause of the trouble—a foul murder perpetrated in early Victorian times. Claudia finds dealing with a malevolent ghost is one thing, but trying to prevent Julia’s affection for Martin becoming serious is another. Treachery, deceit, and help from unexpected quarters mean the Greys have their work cut out to resolve the haunting. 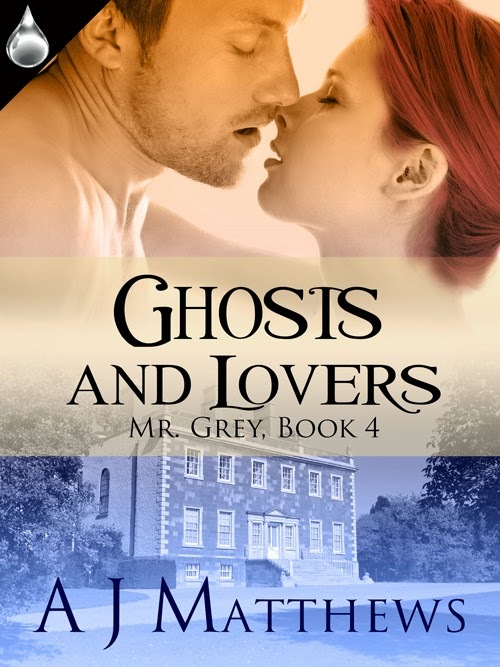 Can they end the case of the Groping Ghost and help two hopeless lovers find rest beyond the grave? Released April 7 at Liquid Silver Books!